He was responding to a statement by US President Donald Trump on Monday that he was willing to meet "any time" with Iran's leaders without preconditions. "I would meet with Iran if they wanted to meet," Trump said at a White House press conference, barely a week after he had traded bellicose threats with Rouhani. Aboutalebi said Iran had showed its openness to dialogue in the past, particularly with the phone call between Rouhani and Trump's predecessor Barack Obama in 2013. That dialogue was "based on the idea of confidence-building measures and the nuclear deal was an achievement of this effort and it must be accepted," wrote Aboutalebi. 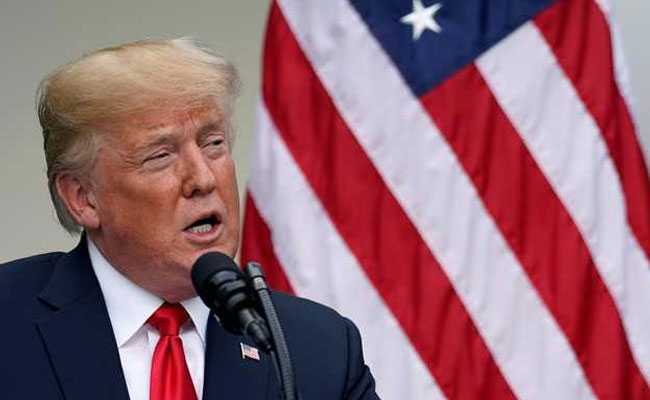 However, foreign ministry spokesman Bahram Ghasemi said on Monday, prior to Trump's statement, that talks with the current US administration were impossible. "Given the hostile measures of the US against Iran after its withdrawal from the JCPOA (nuclear deal) and the reinstatement of economic sanctions, there is no possibility for talks and Washington reveals its untrustworthy nature day by day," Ghasemi told reporters, according to the conservative-aligned Mehr news agency. Trump pulled the US out of the 2015 nuclear deal in May, and is set to reimpose full sanctions in two stages in August and November. He says he wants a new deal that goes beyond limiting Iran's nuclear programme and includes curbs to its regional behaviour and missile programme.